If you can’t give your favorite mom an all-expenses-paid trip to a wine country spa, give her the second best thing: laughter. Humorous stories, to be exact! Luckily for hard working, self-sacrificing moms everywhere, seasoned parents have walked in the same shoes and lived to write about it. The following standouts — several of the newly published — are equally enjoyable in a flurry of intense reading or in short bursts. What they have in common is that they highlight in very different ways the simultaneous absurdity and importance of parenting. So for Mother’s Day, delight her with something she really won’t want to put down — unlike a wailing baby. 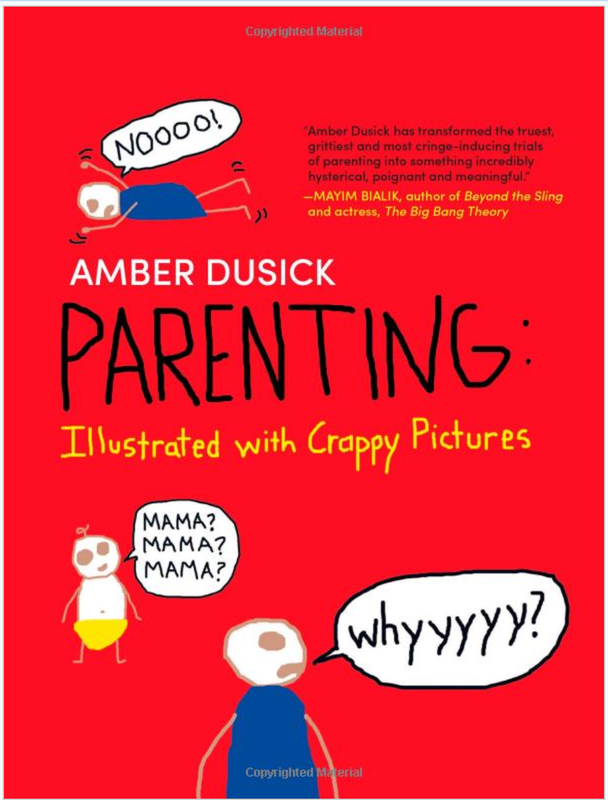 The blogger and artist of Crappypictures.com, Amber Dusick, understands the plight of the Mother so well that she doesn't even include a high-maintenance dust jacket with her book. If only other hardback books were so practical. Inside the red covers are colorful, “crappy” pictures that show everyday situations with her husband (Crappy Papa), two young sons (Crappy Boy and Crappy Baby) and their pets. The humor shines through the simplistic but strangely emotive drawings and sincere, straightforward writing. And there's good news for Crappy Pictures regulars: At least 80 percent of the book content has not been published previously on her popular blog. Great gift for: Moms of toddlers and moms with more than one child. This gem has been around since 2005 but it should be required reading for new moms simply to defuse a little anxiety. 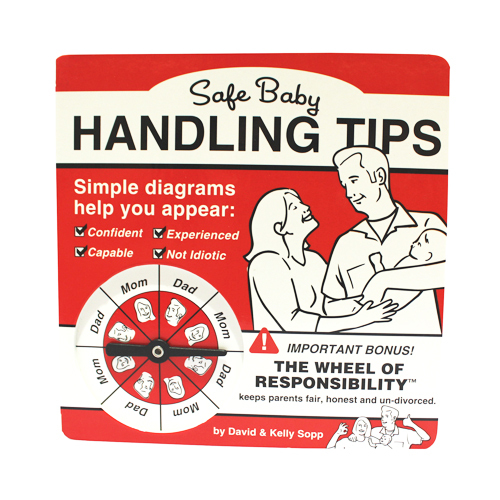 Drawn in the visually distinctive, instructional-illustration style, this farcical book gives crystal clear “instructions”on what to do or not to do for your baby. For instance, “waking baby” might be a gentle kiss on the forehead, but the wrong way would be blasting an air horn at baby’s face. See? Disaster averted. Great gift for: Soon-to-be or newly-minted moms. The Internet abounds with moms who share their daily experiences, frustrations, triumphs and tribulations. 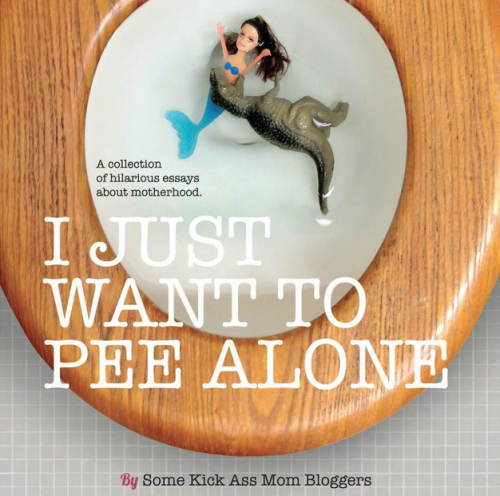 This brand-new collection of humorous essays from "mom bloggers" (some quite well known) runs the gamut of subjects including a “magical” Disneyland trip, the miracle of baby enemas, that moment you realize you have symptoms of either pregnancy or cancer, and the scourge of noise-making plastic toys. Each mom in this collection has a unique voice and the stories range in topic and tone. So if one essay doesn’t particularly grab you, there are 36 more to tickle your fancy. It’s a great read when you have a spare moment — in the bathroom or otherwise. Great gift for: A mom who particularly loves snark, sarcasm or confessional stories about parenting. Favorite part: One of my favorite bloggers from “Rants from Mommyland” tells a story of a chance meeting with a British celebrity on a plane. Her internal monologue is the essence of maternal over-analysis. Favorite part: Pretty much every page. For a decidedly different spin on humorous parenting stories, this book stands out. Based on a live show of the same name, contributors were asked to write about the moment their lives changed when becoming parents. 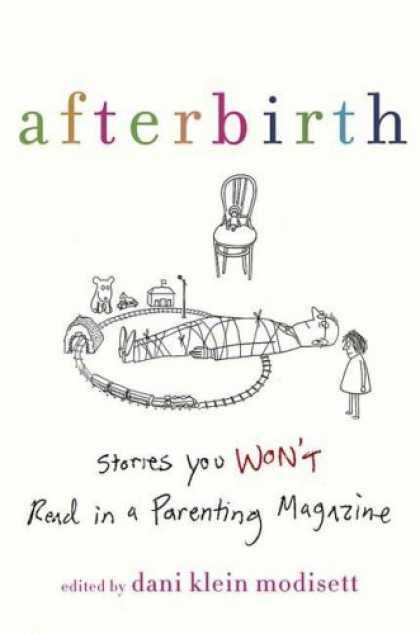 "Afterbirth" features over 30 poignant, heartfelt, surprising and true essays that don’t necessarily try to be comical but very often end up that way. Billed as “Stories You Won’t Read in a Parenting Magazine,” the majority of the authors are comic writers from some of your favorite popular TV shows, showcasing razor-sharp wit and honed writing talent. Many of the stories have surprises or thoughtful twists. With pieces by mothers and fathers, this book is also great to share with a spouse or co-parent. Great gift for: A mom who thinks she has seen and heard it all about parenting. Favorite part: While this is more “interesting” than funny, Moon Unit Zappa writes a piece about what it was like to spend her childhood in the house of Zappa. While not enviable or traditional, it was as fascinating for a reader as it was therapy-inducing for Ms. Zappa. Kali Sakai is a freelance writer who lives in Seattle with her husband and children and should really try to read more books.